Conferences help keep tax professionals aware of current practices and legalities surrounding their field of practice. At conferences, financial specialists can gain additional education and knowledge, network with other influencers and earn continuing professional education credits. While thousands of these conferences take place every year, below are some of the biggest and most influential. The MNCPA Tax Conference takes place annually at the Minneapolis Convention Center. The conference has been bringing together CPAS, accountants and tax professionals for more than 60 years and has been has been acknowledged as the best tax conference in the United States. The two-day event offers a comprehensive schedule of speakers, exhibits and learning opportunities for accounting professionals. Learn more about recent tax updates, changes to regulations and current financial issues. Speakers include experienced professionals from around the country who provide insights on everything from keeping better spreadsheets to navigating financial records for individuals and corporations. The American Institute of CPAs, or AICPA, holds more than 60 conferences each year throughout the United States. These conferences and seminars cover just about everything in the accounting world, with specific themes for different specialties. Some conferences are simulcast in multiple cities at once. Many can be taken for credit toward continuing professional education. If you can’t make it to a conference, you can purchase resources like webcasts and publications pertaining to a wide variety of financial topics on the AICPA website. The annual webcast pass gives you access to hundreds of webcasts and is an ideal way for accountants to continue their education without having to travel to hundreds of conferences. Western CPE offers continuing professional education for financial professionals. The company’s mission is to provide education that fits your interests, budget, lifestyle and needs. Western CPE doesn’t just offer run-of-the-mill financial seminars; the company strives to develop conferences that let guests enjoy themselves. The company has a travel team that carefully selects conference destinations to appeal to those seeking culture, relaxation and even a little adventure. The instructors are painstakingly chosen for their expert knowledge in the field. Going to a Western CPE conference is like walking into a wealth of knowledge in an enjoyable setting. This conference, which has been taking place for more than 50 years, provides those in charge of the financials of nonprofit organizations with updates and information about trending and relevant issues. This conference is appropriate for financial directors, CFOs, accountants, attorneys and others who handle the taxes, accounting and legal aspects of nonprofit organizations. IRS officials and members of Congress provide the keynote speeches, sharing the most up-to-date regulatory and legislative updates that affect this industry. The National Association of Tax Professionals holds a conference every year with more than 40 session options, including divorce and taxes, ethical considerations for tax preparers and making the most of tax credits. For those who can’t attend, the association records all of the seminars and makes them available for purchase. 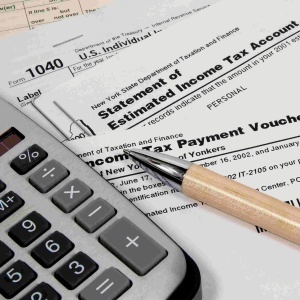 The NATP also offers a tax knowledge center, where you can find IRS tax resources, information about current tax issues in the government, tools to assist you with taxes in your office, volunteers to answer tax questions and a handbook for employers. Attending conferences can help tax experts stay competitive in their field and offer current, applicable information to their clients. 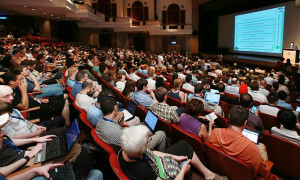 In addition to the large conferences, many smaller, local conferences also exist. Tax professionals can check their local business bureau to find organizations that are devoted to financial specialists in their area.